Christian greetings in the precious Name of our Lord Jesus; may He bless you. The conspirators appear to have the world as putty in their hands. Innocent Muslim leaders are advising Imams, "Examine your house with candles lest there be terrorist leaven in some dark corner." They must watch as much television as the rest of the community since they believe propaganda instead of standing tall and saying, "Do not blame these black ops on our people. Here is the truth: the infidels responsible for this fraud are your trusted friends". Politicians whose true objective is to please the 'hidden hand' orchestrating the conspiracy or favor a lobby group in hopes of reciprocity come election time, fall over each other to propose costly ineffectual schemes to secure their electorate and the nation against suicide bombers. Citizens are yielding and states are confiscating civil liberties to hasten all nations to the level playing field of Communist "freedom" George II is imposing upon ingrates in Afghanistan and Iraq. Judaeo-Communism could not achieve militarily what their "peace offensive" has won. The world has gone insane, and since the Seven Seals are broken there will be no turning back, it is on the road to damnation. Christian pilgrim, put your shoulder to the wheel, hold to the Absolute of God's unchanging Word as the one thing that cannot fail, and keep the Token on display. Comment: Can you say Germany, Russia, Japan, Vietnam, Iraq and Islam? Or dissidents who do not believe in the Trinity and refuse to serve the Roman Catholic church (Revelation 13:15-18)? Or place their economy and national treasure in servitude to a Rothschild Central Bank? Note the Hegelian dialectic: Establish a secret objective (synthesis), create an abhorrent situation under a false flag (thesis), then under a different name or organization move public opinion for reaction (antithesis) in order to manufacture your preplanned history (synthesis). Consider the outcome (synthesis) of 9/11, the Port Arthur Massacre, Oklahoma City, Bali, Madrid, Marriott Hotel, London 7/7 and Sharm Al-Shaikh bombings, aggression against Serbia, Afghanistan and Iraq. These are pieces of the same jig saw puzzle that is unfolding "the big picture" (synthesis) through an all-embracing Hegelian dialectic. Assess the beneficiaries and confirm your suspicion by working back to the thesis and antithesis. Tony Blair subpoenaed by Chicago Attorney claims diplomatic immunity. French Intelligence and the US Marshall Service Monday night July 18, 2005 caught eight of Tony Blair's British MI-6 agents trying to bomb the Chicago Subway system. A shootout killed 4 British Agents. Four were captured in the act of Terrorism and arrested. The British Agents, part of Bush & Blair's Al Qaida network, were charged in Federal Court today with explosives. 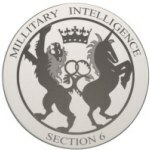 The British MI-6 Terrorist Cell Operated out of Laidlaw Corp. in Chicago. . .
Bush and Blair obviously are trying to cause a terrorist attack in America to derail the Federal Grand Jury Investigations of their roles in the Plame leaks which are violations of National Security Laws and their War Crimes against Sovereign Nation Iraq with intentionally falsified reports. Their other treasonous attacks on America involve rogue CIA, DIA, British MI-6, Russian and Mossad agents who were all involved in the 9-11-2001 World Trade Center and Pentagon attacks. Comment: aol.com is ahead of Scotland Yard when it comes to net censorship. Whatever might "offend" the Devil, they "bounce". New York, July 22, 2005  Alarmed by a new round of mass transit attacks in London, police in New York have begun random searches of bags and packages brought into the city's vast subway system and elsewhere. . . Comment: Londoners are even more alarmed at the possibility of being tackled to the ground by police and killed by five "warning shots" to the head when running for a bus or train. Comment: The only organization fighting for the "freedom" of Iran is the City of London and its colonial troops that fought for the "freedom" of Vietnam, Serbia, Afghanistan, Iraq, etc., Under a different name and in another occupation they are also fighting for YOUR freedom in your townwherever that is. Their goal is enforce global "freedom," and like it or not you have no choice. Doubtless these ads are sponsored by a US taxpayer-funded black budget and produced by Hollywood studios that gave you the fat bin Laden, thin bin Laden, bin Laden beheading film clips, and bin Laden interviews. The "many experts" are neo-cons or Israeli lobby groups. Constantia, July 18, 2005  The US Army is conducting joint military exercises this month in Bulgaria and Romania as a key test of Pentagon plans to develop Eastern European bases as staging areas for fighting in the Middle East. Beginning Tuesday, 1,500 US troops, some of them bound for Iraq, will join 400 Romanian soldiers in urban warfare training. . . In neighboring Bulgaria to the south, 700 US and Bulgarian troops are conducting armored warfare training. Content: "Freedom" comes from the barrel of an "uncircumcised" Abrams battle tank (Genesis 17:5). "Freedom" with DU and torture. "Freedom" you will like, or be killed. June 10, 2005  Depleted uranium, or DU, is produced through the process of enrichment, in which the concentration of the U235 isotope of uranium is increased. For every one ton of enriched uranium resulting from the process, another seven tons of "depleted" uranium are produced as a byproduct. Several hundred thousand tons of DU are currently stockpiled in the United States. Professor Faurisson after kosher assassination attempt: Please go to the United States as I did to visit a gas chamber, or try to find documentation and you will see how horribly difficult it is to execute one man, [not six million men, women and children as the non-Semitic, anti-Semitic self-styled Jews would have us believe but] only one man with hydrocyanic acid. The most terrible problem is airtightnesshydrocyanic acid sticks to everything. And you have to be very careful to keep a place, as much as possible, airtight, hermetic, so that there is no danger for yourself. The next problem is to get rid of the gas after the execution. This gas sticks everywhere. You need special fans. You need a very strong exhauster to exhaust the gas. You need a mixer to neutralize the gas. And supposed to have been neutralized, it is ejected through a very high smokestack. Comment: "Freedom!" Freedom to think and say only what the NWO has approved. Freedom guaranteed and insisted upon by the US military (Revelation 13:15-13). A conservative US lawmaker has angered Muslims by saying that Washington should respond to any future attack by bombing their holy sites. "If this (attack) happens, then you might think about this as a threat, the retaliation on their holy sites," said US Representative Tom Tancredo on US TV, reiterating remarks he made on a Florida radio station last week. Comment: A "useful idiot" working the 'human cattle' like putty. Thank goodness he is a cool-headed "conservative" and not a shoot-from-the-hip "radical" hot head. If we kill, maim and defame enough of these insurgents they will learn to appreciate Yankee "freedom." Its simply a matter of "education". A great many vendors of disinformation on the net and commercial media are (unbeknownst to themselves) peddling rumors of things that will occur, but their function is to propagate conflicting rumors that will destabilize and exhaust their audience mentally and emotionally, distract them from essential issues and prime their hearts to fail for fear. They are maliciously or ignorantly warming up their audience with "great expectations" of morbidity. World War III can not reach the "hot" stage until "the love of many grows cold," and hatred blossoms in the hearts of the combatants. Read Protocols 3:4; 5:9-10; 10:19. Isaiah 28:14-18, "Hear the Word of the Lord, you scoffers who rule this people in Jerusalem. Because you have boasted: We have made a covenant with death, and with hell have we made an agreement; when the overwhelming scourge passes through, it can never touch us: for we have made lies our refuge, and in fraud we have taken shelter. Therefore THUS SAITH THE LORD GOD, Behold, I will lay in Zion a foundation Stone, a tried Stone, a precious Cornerstone, a sure Foundation: he who believes will never yield. I will make justice the line and righteousness the plummet: and hail will sweep away your refuge of lies, and waters will flood your hiding place. Your covenant with death will be annulled, and your pact with sheol will not stand; when the overwhelming scourge passes through, you will be trampled down by it". As it was when Assyria destroyed Israel and Judah emulated her idolatrous practices, the scoffing rulers of today's Jerusalem rest on a foundation of lies and fraud in opposition to the Foundation and Chief Cornerstone of God, Jesus Messiah, upon which His House will be erected without hands by means of judgment and righteousness (I Corinthians 3:11; Ephesians 2:20; I Peter 2:6). Isaiah was speaking of 2005 and the next several years. In Revelation 6:8 the rider of the pale horse is called Death. This is Satan. His last ride began in 1906 at the start of the Laodicean Church Age. His destination is perdition and hell. Under Shimon Peres, Israel made a covenant with Death in the guise of the Judaeo-Roman churchsurety for the covenant prophesied Daniel 9:27 (see Newsletter 283 and earlier). This scourge repeatedly passing over and recurring day and night is the Great Tribulation of Daniel's Seventieth Week, when God will no longer be threatening but meting judgments in order to purge Israel by "sweeping away the refuge of lies" and "gather her again the second time" to the precious Foundation Stone, His Messiah (Isaiah 11:11; Zechariah 13:6-9). In Zephaniah 3, which is also set in the present day, the Lord rebukes Jerusalem because she is unreformed despite 2,500 years of chastisement under Gentile dominion. Gentile dominion that will continue unbroken from Nebuchadnezzar to the consummation of life on earth (Daniel 9:27; Luke 21:24). However now He will interpose for Israel against her foes and turn an election to the pure New Testament faith. Zephaniah 3:13-15, "The remnant of Israel will neither act perversely nor speak lies; neither shall a deceitful tongue be found in their mouth: for they will feed and lie down, and none shall make them afraid. Sing, O daughter of Zion (Christ's Bride of all ages); shout, O Israel; be glad and rejoice with all your heart, O daughter of Jerusalem (the 144,000 elect Hebrews on their atonement). The Lord has taken away the judgments against you, He has cast out your enemy: the king of Israel, even the Lord (Jesus Christ), is in your midst: you shall fear disaster no more". Soon the Gentile dispensation will end, signaled by the sinking of Los Angeles, and a dividing of the Mount of Olives causing the destruction of the Dome of the Rock, thus igniting the "hot" stage of World War III with the invasion of Israel and the United States. "There shall be signs in the sun and moon, and in the stars (Isaiah 34:4; Joel 2:10; Revelation 6:12); and upon earth distress of nations, with perplexity; the sea and the waves roaring (tidal waves caused by the sinking of California and volcanic eruptions in the Pacific Ring of Fire). Men's hearts failing them for fear (of nuclear war), and for looking after those things which are coming on the earth: for the powers of heaven will be shaken (and Satan cast outIsaiah 14:12; Revelation 12:7-12). Then Israel shall see [the sign of] the Son of man Coming in a cloud with power and great glory. (Christ's 'parousia' Coming to IsraelMatthew 24:3, 30-31; Revelation 1:7; 11:19). And when these things begin to come to pass, look up, and lift up your heads; for your redemption draws nigh" (Luke 21:25-28). The scoffers of Israel and the apostate church world have not recognized their day and its Message (II Peter 3:1-13). As I write, their leaders are in collusion to create chaos that will produce the totalitarian one world government Satan offered to Jesus (Matthew 4:8-9), the global government prophesied by Daniel 2:44. A Satanic government whose defense is lies and whose covering is fraud. With what common word might we describe the tooth fairy, Santa Claus, the 'unanticipated' sinking of the Lusitania, the 'surprise' attack on Pearl Harbor, the Tonkin Bay incident, the Rothschild-like 'prescience' of taking put options on certain airlines and underwriters prior to 9/11, 'prescient' short selling of the British pound before the London Underground bombings; the 1919 claims that Germany gassed and cremated six million Jews in World War I, the 1942 claims projecting a second 'holocaust' of six million Jews in World War II (with two million already killed), the Moon landing, fluoridated drinking water, the myth of the suicide bomber, Aspartame, Saddam Hussein's WMD, and the Trinity? Take your pick: fraud, lie, hoax, false flag operation? There has been a hidden motive behind each of these, generally with sinister intent to impose a pre-planned history onto an unwilling world. Each scheme was devised to alter people's perception and manipulate man's minds to believe the latest deceit of an evil elite. The world's leaders have made lies their refuge, and taken cover in fraud. The leaders of the United States, Britain, France, Italy or Australia could not draw a straight line between two points, yet these men are merely the shop window we can see: glove puppets moved by a 'hidden hand'. The current game plan is to move World War III from the sidelines to the battlefield, but the nominally Christian side coached to lay down their lives for Political Zionists, and the innocent Muslim side shanghaied as their reluctant enemy are friends who have no desire to come out fighting. Hatred does not come naturally to Adam's race, but Cain's race is at enmity with us both (Genesis 3:15). So in order to generate hatred where only goodwill exists it is necessary to spill the blood of innocent people, even your own friends and neighbors. Barry Chamish from Israel comments, "Watching a National Geographic documentary called The Truth About Killing, I learned that during WW2, the American army was distressed to learn that only 2% of its combat soldiers shot to kill. This statistic was confirmed in numerous studies after the war. Even in combat, 98% of humanity is not capable of killing their fellow man. The 2% who are capable, are clinical sociopaths". Muslims have nothing to gain and everything to lose from hostilities, and all Christians know the prophet Abraham said that Ishmael's followers like the Muslims, will never pose a threat (Genesis 16:11-12). So whoever is behind the propaganda and deadly false flag provocations does not believe the Old or New Testament of the Bible, so they cannot be sons of Abraham no matter what their pious claims. Fanatics sacrifice the lives of innocents in order to realize their fantasies. Theodor Herzl allied himself with the notorious Count von Plehve, the antisemitic minister of Tsar Nicholas II; Vladimir Jabotinsky made a pact with Petlyura, the reactionary Ukrainian leader whose forces massacred some 100,000 Jews in 1918-21; Ben-Gurion allied himself with the French extreme right during the Algerian war; Yitzak Shamir was negotiating an alliance with Germany until he was arrested by the British in 1941 for "terrorism and collaboration with the Nazi enemy;" Ben Gurion did not hesitate to blow up the ship at Haifa on December 25th 1940, causing the death of 252 Jews and its English crew (Israel Shahak, Jewish History, Jewish Religion, ch. 4). Spirit-filled heroes of faith willingly surrender their own lives for God and for His people. "Greater love hath no man than this, that a man lay down his life for his friends" (John 15:13; Zechariah 13:6). Jesus Christ willingly sacrificed His innocent "life, eye and tooth" for the guilty "lives, eyes and teeth of His friends." Read Matthew 23:13-39 and Hebrews 11. Consider Abel, Job, Noah, Moses, David, and the martyred Church Age saints. So much establishment history (science and religion) of colonies of the Empire of the City of London, like the United States and British Commonwealth, is a lie chiseled into stony hearts of men who will kill and die to defend it, having been trained not to think above their belly. Serving the 'Hidden Hand' and not the Lord, our once proud Christian civilization no longer stands upon the rock of Spiritual revelation of the doctrine of the apostles and prophets, it is braced by a buttress of lies. Noblemen make orations, scholars write theses, soldiers parade, bands play, citizens salute and poets eulogize lies. Damn lies. Thus Satan, the father of lies, is god of this evil age; and our Creator, made irrelevant, will depart Earth in the translation of Christ's Bride, leaving Satan's kingdom to martyr the "saved" and the elect Israelites before destroying all life "in covenant with death and agreement with hell". Only the Spirit of Jesus, which is the Spirit of Truth can release us from our refuge of lies. He told the Pharisees, "You do not understand what I tell you because you cannot bear to listen to hear My Message. You are of your father the Devil and your wish is to fulfill his desires. He was a murderer from the beginning, and could not stay in the truth, because there is no truth in him. When tells a lie, he speaks by natural inclination: for he is a liar and the father of lies and because I tell you the truth, you do not believe me". Luke 8:11 and John 6:63 teach us that God's spoken Word is the original Seed: His Word is Spirit in a form we can receive by faith and realize eternal Life. Thereby "Jesus empowers as many as receive the Word in His Name, to become the Sons of God and joint heirs with Him in the Kingdom of God" (John 1:12; Romans 8:17). It is because they received not the love of Jesus Christ who is "the Truth" that could save them, but had pleasure in untruth, that our leaders and fellow citizens have received strong delusion that they should believe the lie and be damned by the 'soft option' that, "We are all Christians, God loves us all whatever our denomination." He does not! Paul said the man of sin comes as Satan's tool, full of Satanic power and "comfortable words" by means of which he will deceive all whose names are not written in the Lamb's Book of Life with signs and great miracles, like uniting the world's religions (II Thessalonians 2:3-13; Revelation 13:8). That man of sin will be incarnate of Satan after six millennia of lies have obliterated the Light of truth. Then the Trumpet of the Lord shall sound and the children of Darkness will apply 'the squeeze' to we children of Light. Constitutions, compassion for humanity, "whatsoever things are true, whatsoever things are honest, whatsoever things are just, whatsoever things are pure, whatsoever things are lovely, whatsoever things are of good report; if there be any virtue, and if there be any praise" do not enter their thinking for their conscience has been seared with a hot iron. Nothing can restrain them but superior physical force or more adroit wickedness. The love for God and for our fellow man is growing cold. As subscriber Mel. Fowler wrote to one of our Israeli subscribers, "We citizens of the United States are presently witnessing the consequences of our leaders (if you can call them that) having allowed Zionist lunatics, devotees of Leon Trotsky, to capture our government and our major institutions! The Czarist government of Russia made the terrible mistake of responding with liberal policies to the savage behavior of Jewish communists even though it had abundant evidence that those lunatics were dangerous! Both the Russian Czar and the US Government had completely forgotten their responsibility to protect their citizens from political predators!" "We are now faced with the prospect of a global conflagration consciously pursued byyou guessed it! Jewish lunatics: Talmudic, Zionist, Trotskyite, Marxist, Communist, Masonic global gangsters! Jewish lunatics and their dupes! Jewish supremacists, like the tidy little Jewish organizations in Russia that embrace the Shulcan Aruch. Lunatics! All Jewish lunatics! Are they dangerous? You know they are. Troops on the home front, waiting underground, as it were. Waiting to help and support any way they can, when the time comes, isn't that right?" "All organizations dedicated to Jewish supremacy bear the general form of a criminal syndicate, and should be outlawed. If we weren't facing this terrible Jewish menace now engulfing the planet, we could perhaps dismiss them as harmless nuts." These Khazars migrated from Lower Mongolia, established their kingdom in the Ukraine and fought against Russia for a thousand years, gaining victory in 1917 after invading from the United States. Known prophetically as Gog they have ruled Russia (Rosh, Meshech and Tubal, and Magog) ever since, and will invade and defeat the USA after the Seventh Trump. Like a great many Roman Popes and US Presidents, most if not all of Russia's premiers have been Jews, or like John Kennedy they were married to a Jewess. For instance, Premiers Lenin (Ulyanov), Stalin (Djugashvili), Brezhnev; Andropov (Lieberman), Khrushchev (Perlmutter), Gromyko (Katz), Primakov (Finkelstein), Gorbachev (Kahn), Yeltsin (Elstein? ), and Putin (Radoshkovich?). Speaking to the Politburo in 1989 Gorbachev said, "In October 1917 we parted with the old world rejecting it once and for all. We are moving toward a new world, the world of communism. We shall never turn off that road. . . Gentlemen, comrades, do not be concerned about all you hear about glasnost and perestroika and democracy in the coming years. These are primarily for outward consumption. There will be no significant change within the Soviet Union, other than for cosmetic purposes. Our aim is to disarm the Americans and let them fall asleep." And when the Berlin wall came down he proclaimed "I am a convinced Communist. For some this may be a fantasy but for me it is my main goal". In previous Newsletters we have quoted Dimitri Manuilsky in 1950 and Nikita Khrushchev in 1956 launching this "peace offensive." 1956 was the jubilee of the Pentecostal Revival and America's final chance for national repentance. Make no mistake; Judaeo-Communism and the Judaeo-Masonic-Communist United Nations Organization are the plague of the Sixth Vial. Our leaders and fellow-citizens are under strong delusion because they received not the love of God that they might be saved. This can only mean that their names are not on, or will soon be removed from the Book of Life (Revelation 17:8). "We must hate. Hate is the essence of communism" (Vladimir Lenin). "Some call it Marxism, I call it Judaism" (Chief Rabbi of the United States, Stephen S. Wise, The American Bulletin, May 15, 1935). "We intend to remake the Gentiles by doing what the communists are doing in Russia" (Rabbi Lewis Browne, How Odd of God). 1. Socialize the economies of all nations. 2. Bring about regional unions of various groupings of these socialized nations. 3. Amalgamate all of these regional groupings into a final worldwide union of socialist states. Dictatorship can be established only by a victory of socialism in different countries or groups of countries, after which the proletariat republics would unite on federal lines with those already in existence, and this system of federal unions would expand . . . at length forming the World Union of Socialist Soviet Republics" (Senate Committee on Foreign Relations, July 11, 1956, p. 196; G. Edward Griffin, The Fearful Master, p. 69). Now you know! This Judaeo-Communist New World Order being facilitated by membership of the United Nations is gathering the world to Armageddon (Revelation 16:12-16). George Bush II thinks, "There oughta be limits to Freedom" . . . "Things would be a lot easier if this was a Dictatorshipso long as I'm the Dictator." Elders will suspend civil liberties during emergencies then make the measures permanent. Totalitarian collectivism is no coincidence for Satan is about to be cast down. Jesus said, "The gradual dying out of faith must be accompanied by a gradual dying out of mutual love, but Israelites under the Fifth Seal who endure unto martyrdom will be saved" (Matthew 24:12-13; Revelation 6:9-11). The Fifth Seal is concurrent with the consecutive first four Seals whose final Church Age was "lukewarm, and neither hot nor cold" in its love for God and His Word but her non-elect who endure unto martyrdom will be likewise "saved". When 'the squeeze' comes down after the Seventh Trump there will be love only among the Bride. "God is love:" as Christ's Bride is the temple of the Holy Spirit, His love is in her. Our business and political leaders may worship but we know they are demon-oppressed for their actions speak louder than their words. One does not need to be a Christian to discern right from wrong, good from evil. These leaders have lost any sense of human kindness and civility. They lie unashamedly, override their own laws and constitutions, send young men to fight wars that are both illegal and contrary to the declared will of the majority, and legislate to enable police to assassinate an innocent man pinned to the ground, with five shots to the head. The follow-up warning shot was not necessary; the 'human cattle' got the message. Satan has trained our minds to believe his lies and be blind to the truth. Such is his power of deception. Like the sleight of hand of a conjurer who leads us to think he holds an orange in his right hand when he really holds it in his leftwe are being led to believe one thing is happening whilst, in reality, something quite different is planned. And because the process has been so gradual . . . up until now, we have shrugged our shoulders, and carried on. Satan's training program began in the nursery where we were taught to believe lies like Santa Claus, and later, perhaps, the "tooth fairy." Then there was Tarzan, Superman, Davey Crockett, or maybe Harry Potter. From children trained to believe small lies we graduate to big lies like the holocaust, or the Trinity. In school we were taught lies about wars, banking and economic theories. Satan laughs; I can get these kids to believe anything my "useful idiots" tell them. I'll send in an expert to teach the benefits of fluoridated water, fast food, evolution of species, alternative lifestyles and "the rights of the child". Rockefellers, who have the world franchise on education, have made some changes over the years in order to mold us into their image rather than the image of Jesus Christ, God's Son. So that by the time we reach University we are blind to the fact their objective nowadays is not to develop independent and qualified reasoning skills in students, but to cause them to memorize and regurgitate a prescribed syllabus of controlled thought. To transgress those set bounds with independent thought no matter how well-argued and qualified, spells failure. The corporations and tax-exempt foundations that fund faculties dictate professorial tenure, stipulate curricula and prescribe books. The Franchisee established professional associations to control the thinking of graduates throughout their working life. This explains why doctors, even if they know how, seldom diagnose to treat the cause, which would generally be some deficiency or a build-up of toxins that could be cured without medication. Instead they are trained and required to treat the symptoms by prescribing some chemical concoction that will cause them to be unseen or unfelt. Woe betide he who would transgress the bounds set forth by his professional association, for without valid membership, his mark of the beast, he may not be permitted to "buy or sell". Do you see what has been happening gradually over the past hundred-odd years? As under Communism, men and women have become trained production units for a planned economy. Goyim: 'human cattle' no less, unconsciously trained as to what we should believe and how we must think, and what we must not believe or even contemplate. In other words, we have been psychologically wired to live in a virtual world programmed into our minds, as if we were Pavlov's dogs. And most people are just that. Since the cattle have been trained to know what they are permitted to think, and the herd is obedient, these edicts are being set in law with harsh penalties for the maverick. The above listed frauds and more are being enshrined as our new religion and society removed from the sovereignty of God who placed each living soul on free moral agency to choose or to refuse, to the status of brute beasts with a body and mortal spirit but no soul, restricted to the unthinking routine of law like so many farm animals. "Attention! We have six billion human cattle yet we require only one half to two million. Some of you are going to be culled. Here are your orders. You will all believe in the holocaust; you will believe that Pearl Harbor was an unexpected and act of infamy, you will believe Osama bin Laden and a pack of ragheads flew airliners into the WTC and the Pentagon, you will believe that Saddam Hussein possessed WMD and was capable of striking London in 45 minutes, you will believe the Moon landing, and you will believe the Trinity or at least obey the edicts of the Roman Catholic church". Do you get the picture? These events are interrelated strategies designed to train the herd to go willingly into the pen, and to force the mark of the beast or kill those that are sick, poor, or recalcitrant. Rabbi Martin Siegel said, "I am devoting my lecture in this seminar to a discussion of the possibility that we are now entering a Jewish century, a time when the spirit of the community, the non-ideological blend of the emotional and rational and the resistance to categories and forms will emerge through the forces of anti-nationalism to provide us with a new kind of society. I call this process the Judaization of Christianity because Christianity will be the vehicle through which this society becomes Jewish" (New York Magazine, p. 32, January 18, 1972). Hence Shimon Peres has contracted for Rome to rule East Jerusalem. Brother Branham said, "Right now the churches are controlling politics and at the opportune time will manifest exactly how great is that control. This ecumenical move will end up with Rome at the head even though the people did not envision it that way. This is so because in Revelation 17:3-6 it states that the whore, Mystery Babylon is seated on the beast. She is controlling the last or fourth empire. This Roman Church is doing that. With the world church system under her Rome will be controlling, and this image (church system) will be obedient to Rome because Rome controls the gold of the world." (Rothschilds, who own the gold, are her bankers. Researcher Eustace Mullins writes that "the Rothschilds took over all the financial operations of the worldwide Catholic Church in 1823" (The Curse of Canaan, p. 125). "Today the large banking and financial business of the Catholic Church is an extensive system interlocked with the Rothschilds and the rest of the International Banking system. The great wealth of the Russian Czars was entrusted to the Rothschilds, $35 million with the Rothschild's of England, and $80 million in the Rothschild's Paris bank. The Rothschilds financed the Russian Revolution which confiscated vast portions of the Orthodox Church's wealth. They have been able to prevent (due to their power) the legitimate heirs of the Czars fortune from withdrawing a penny of the millions deposited in a variety of their banks. The Mountbattans, who are related to the Rothschilds, led the court battles to prevent the claimants from withdrawing any of the fortune. In other words, the money they invested in the Russian Revolution, was not only paid back directly by the Bolshevists in millions of dollar of gold, but by grabbing the huge deposits of the Czars' wealth, the Rothschilds gained what is now worth over $50 Billions"The World Order, p. 5). Brother Branham continues, "Thus all the people have to belong to the world church system or be at the mercy of the elements for they cannot buy or sell without the mark of the beast in the hand or head. This mark in the head means that they will have to take the doctrine of the world church system which is trinitarianism, etc., and the mark in the hand which means to do the will of the world church. With this great power the church systems will persecute the true Bride. This image will try to keep the Bride from preaching and teaching, etc. Her ministers will be forbidden to give comfort and truth to the people who need it. But before the antichrist (in person) takes over this complete world system of churches the true church will be taken away from this world to be with the Lord. God will catch away His Bride for the great Marriage Supper of the Lamb (An Exposition of the Seven Church Ages, p. 376:1). Do you see what Rabbi Martin Siegel meant when he said, "Christianity will be the vehicle through which this society becomes Jewish"? The Judaeo-Roman Catholic religion was Jewish from the outset and Rothschilds, who own Israel, are intertwined with Rome. By the power of their gold they will entice Rome to conquer or destroy the non-Catholic world. Rome's actions will trigger the third major revolution planned to transfer world hegemony to Luciferian elites. It will enable Rothschilds to engineer the destruction of both Rome and the United States, but it will culminate in Armageddon. As the world's leaders are corrupt and amoral, how should Christians lead? We are, after all, a kingdom of priests who will judge the world. We will lead by our example, Christ in us: "putting on the whole armor of God that we may be able to withstand in the evil day, and having done all, to stand." If we have honored God's Word and sanctified our life in all the Light He has revealed, then having done all we make our stand expectantly on His Word. Jesus said, "When you stand trial before Sanhedrin councils, governors and kings for My sake, this will provide you with the opportunity to bear testimony before them and the Gentiles. When they deliver you up, do not be anxious how you are to speak or what you should say, for you will be given the right words at the right time. For it will not be you doing the talking, but the Spirit of your heavenly Father speaking through you" (Matthew 10:18-20).